First, you should know that I was sent The Planner for review. 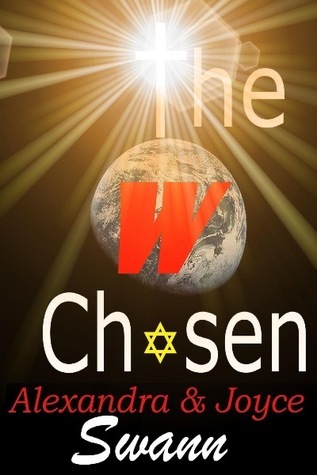 Secondly, you should know that I was so riveted by the story that I purchased the sequel, The Chosen, for my Kindle immediately upon finishing it. In the first book, The Planner, we find a progressive U. S. government running completely out of control. Or maybe that should be running completely in control. In control of it's citizens. Senior citizens living out their retirement years on Social Security and Medicare find themselves faced with a tough decision -- give up all of their assets to the government and a sign a life lease to be taken care of in government housing, where all of their food and medical needs will be "met," or face the discontinuance of their benefits. The main character of the book, Kris -- out of work and homeless -- is in need of a job and soon becomes the planner for the government agency running this program. It's her job to convince the senior community that this is the best choice, and the first people she needs to convince are her own parents. When her parents make the difficult and desperate choice to live in Section W, and then disappear a few months later, Kris realizes what's really going on -- the extermination of American citizens. In the second book, The Chosen, Kris becomes the desperate one. She is desperate to fight the U. S. Government after her husband and brother-in-law have been detained for "terrorism." In this not so futuristic look at America, thousands of citizens are being detained and put to death without trial when the government, with which they disagree, label them as terrorists, based on the National Defense Authorization Act (NDAA). I was glued to these books for an entire weekend. I literally could not put them down, reading them both in a span of about 3 days. They are at once suspenseful and frightening. I felt every emotion you could imagine -- fear, anger, relief, sadness, and joy. I was reminded of the importance of standing up for what is right, both for the benefit of my own family, and for the country at large. The NDAA is not a fictional piece of legislation. It was signed into law by President Obama on December 31, 2011. While these books are works of fiction, they are also a cautionary look at what could very well happen to America, in the very near future, if things do not change quickly-- as in tomorrow.